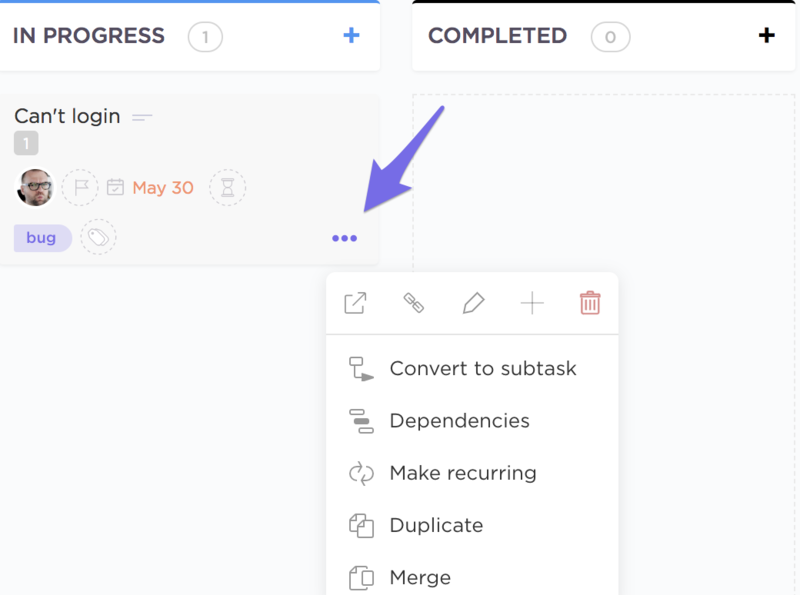 Edit tasks without having to open them! 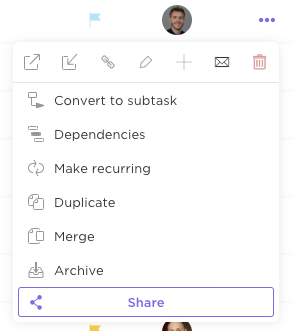 You'll also be able to copy a link to the Project, rename it, archive it, or delete it altogether. 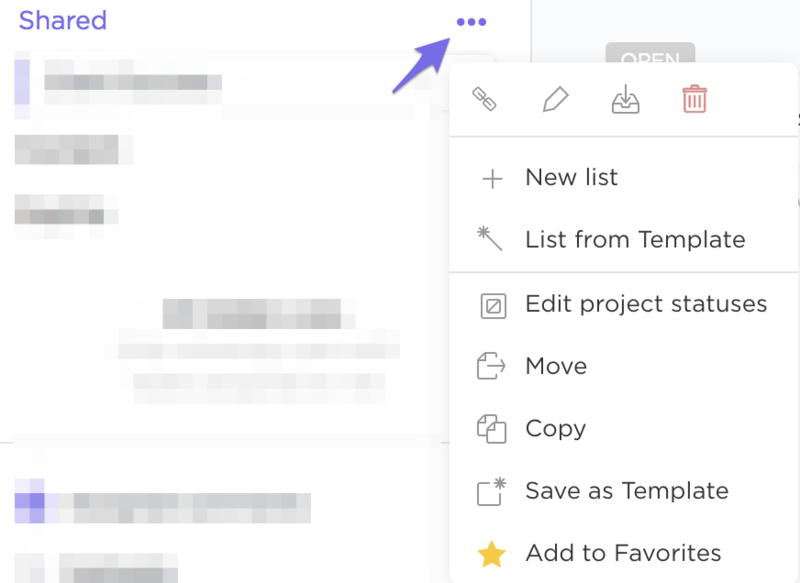 Clicking on the ellipses next to a List will yield the same options, minus the ability to edit the parent Project's custom statuses. Right-clicking is now available for tasks in Time View!